Formery known as UberCab, the now-popular ride-hailing giant Uber wasn’t so fancy in 2010. In fact, UberCab was a classic minimum viable product (MVP) when it first hit the New York streets: the application had a minimalistic design and performed only one key task – it only connected iPhone users with luxury car drivers and supported cashless payments right in the application. But look at Uber now. Today, users enjoy automatic credit card payments, choose from a variety of car types and services, listen to music without having to leave the application, and even communicate with deaf and hard-of-hearing drivers using special in-app functionality. These and many other great features were gradually added to the application as the service grew and developed. 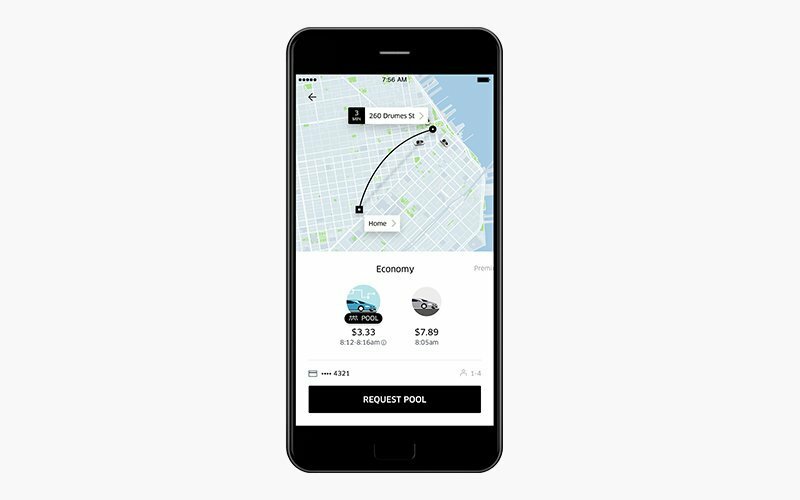 Let’s suppose you’ve created the MVP version of Uber: your application connects riders and drivers based on location, offers live tracking of drivers, and makes use of credit card payments. Your app already has positive feedback and you see your user base growing by leaps and bounds. So what’s next? It’s time to scale your business and add some bells and whistles to your app here. For your convenience, we’ve gathered all these bells and whistles in one article that you can refer to when you need some clever ideas or a dash of inspiration. Consider this piece your personal cheat sheet to taxi app development. Let’s see what taxi-hailing strategies you can use and what features you might add to your established Uber-like business to provide its efficient scale and healthy growth. UberPOOLis the cheapest option and lets users share their ride (and split the bill) with others who are heading in the same direction; this service began in 2014 and now exists alongside other tabs in the Uber app, allowing users to save up to 40 percent to a classic UberX option. In February 2018, Uber officially launched an extension to its Pool option called Uber Express Pool, which, as it was claimed, is 70-percent cheaper than UberX and 50-percent cheaper than UberPool. The new initiative was introduced as an endeavor to help lower the cost of entry to the product to reach the larger audience. UberX, which is essentially the standard Uber service, is a bit more expensive than UberPOOL and was launched in 2012 as an alternative to traditional taxi services; UberX drivers own “regular” cars that typically aren’t luxury sedans or SUVs. UberXL is a larger vehicle service that was introduced in 2014; it lets users summon cars with up to free six seats available for rides so they can travel with greater convenience. UberSELECT was launched in 2015 as a higher-end option to pair passengers with newer luxury cars like Mercedes Benz, BMW, and Audi; this service targets riders who want a nicer car but don’t want to pay for the absolute top-end service – UberBlack. UberBlackand UberSUV are actually where Uber started; UberBlack is a high-end ride-hailing option that guarantees late-model cars and targets wealthier users, business people, and Uber users who are ready to pay more for a professional experience. UberSUV links riders with luxury SUVs for up to six people. You can decide which ride options to add as your business evolves based on the type of business and your strategy. For example, for a ride-hailing service whose initial focus was on luxury cars, it was nice for Uber to start providing cheaper options – UberX and UberPool – to make the service affordable for a wider range of consumers. At the same time, businesses can consider providing on-demand delivery as an additional service on their platform. One Uber alternative, Gett, which now successfully operates across cities in North America and Europe, has a special Gett Courier feature that lets users send and receive small parcels via couriers at prices that are 30% cheaper than other courier services – and all with the Gett ride-hailing mobile application. The service works pretty similarly to UberRush, which was launched in 2015. Uber has also been experimenting with its UberTaxi service that links users with classic yellow and green cabs. A partnership with traditional taxi services and certified taxi drivers could be the next evolutionary step for your business, as such a move may attract users who support classic taxis. One more nice option Uber has added recently is UberHIRE. 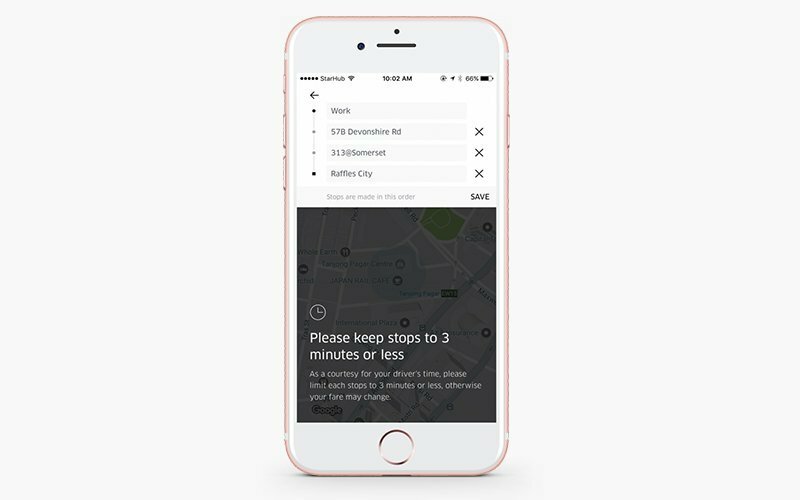 UberHIRE is a “time-based Uber available on-demand” that lets users hold onto their Uber for as long as they need it (with as many stops as they want). Currently, the service is available in India and, according to the company, such a solution is perfect for tourists who explore new cities, business travellers who have multiple meetings during a day, and senior citizens who make long-distance trips with multiple stopovers. A ride-hailing platform consists of three parts: a driver app, a rider app, and a dispatch system. While your dispatch system (or simply an admin panel) usually stays behind the scenes, the driver and rider apps are your direct means of providing your service and communicating with your users. Therefore, it’s important that these two products deliver the right user experience. As your business grows, it’s important to constantly add innovative and valuable features that can improve the usability of your app and bring more satisfaction from using the service. Let’s see how Uber managed to do this. We’ll start by looking at their rider app and then proceed to discussing the features of their driver app. Even though the term “on-demand ride-hailing” implies getting a car right away, users sometimes need a guarantee that a car will be there when they need it. That’s why Uber recently introduced a feature that allows users to book rides from 30 minutes to 30 days in advance. Booking in advance looks like the ordinary process of requesting a car (users set their pickup location, their destination, and their preferred level of service) except for one little detail – they also need to set a pickup date and time. If you offer advance bookings, it’s also necessary to let your users edit the details of their trips and cancel a ride if plans change. However, it’s necessary to warn users that cancellation is only possible a certain amount of time before pickup so you avoid inconveniencing drivers. It’s also important to remind your users about their scheduled rides (let’s say 24 hours in advance and again 30 minutes before) so they don’t miss them. Sometimes, users of ride-hailing apps travel in groups, which is why it’s advisable to let them split the bill with everyone in the car. Uber’s Split Fare feature allows users to send requests to any contact who also uses the service to share the cost of the ride right within the application. The nice thing about the Split Fare feature is that it automatically divides fares equally among riders who accept the request, so users don't have to do any calculations. Your users obviously have some places they travel to again and again – whether it’s work, home, a fitness center, or a favorite restaurant. However, entering these addresses every time is a huge pain. That’s why you might consider adding a feature that lets users save their favorite destinations. Bookmarking places saves time and makes your app more pleasant to use. In Uber, Saved Places are accessible from the “Where to?” box or right from the Shortcuts panel at the bottom of the screen. Uber also offers to save a place if it sees that a rider repeatedly goes there. In this way, Uber shows that their app is designed around riders. Everyone gets behind schedule sometimes. And while it’s inconvenient for you, it’s equally inconvenient for people who are waiting for you. To put your friends, family members, or business partners at ease and inform them that you’re safely on your way without calling or sending long texts, Uber has integrated a feature that let riders share their trip status right from the app, just by tapping a button. With this feature, family members or friends receive a text message with details of the rider’s trip, including the driver’s name, vehicle info, location on the map, and estimated time of arrival. Riders can also share this information on social networks and via email. Uber recently added in-app chats that allow riders to get in touch with a driver before pickup. Previously, Uber users (drivers and riders) could communicate using other apps outside Uber or simply by phone, but that was rather inconvenient. For some users, voice calls may feel like torture, while others find it tiresome to constantly switch between apps to coordinate a ride. Moreover, voice calls and constantly switching between apps can distract drivers from their main activity – driving. Real-time in-app chats help avoid all this pain. In Uber, for example, received messages are automatically read to the driver so they can simply acknowledge the information by sending a thumbs up and stay focused on the road. What’s more, riders and drivers can know for sure if their chats have been delivered and read. Surprisingly, card payments are not that popular in some corners of the world. Moreover, users may simply not have money on their card (or may have maxed it out), thus preventing them from getting a ride. In this case, it would be nice to provide an option for cash payments as well. Cash payments are now possible with most of the popular taxi-hailing apps including Curb, Gett, mytaxi, and even Uber. Riders sometimes need to hit several points while en route. For example, they might head to their friend’s place and then unexpectedly realize they need to stop by the store to grab some wine and food; or they may want to pick up their friends on the way to their destination. Your application should be flexible enough to let riders adjust their route on the move. With a multi-stop feature, riders can input extra stops in advance or add them when they’re already in the car. You can also consider making your service accessible to people who don’t use mobile apps (for example, some seniors). Uber now lets you request a ride for several people at once. When a rider makes a car request, Uber asks if they want to order a car for someone else. 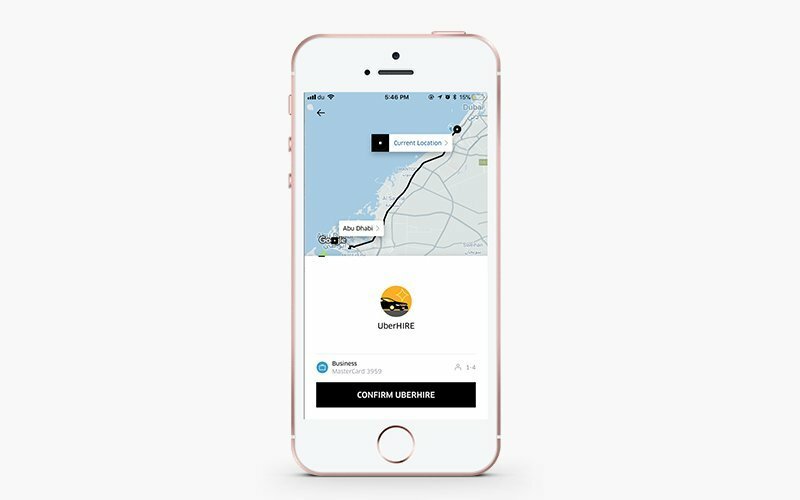 Users can select other riders from their address book, set pickup and drop-off points, and request rides on their behalf. After a ride has been ordered, riders who don’t have the app receive a text message with trip details, including a link to track the driver’s position and the driver’s contact information so they can easily get in touch. Sometimes, five out of five stars isn’t enough to describe how you feel about your driver and the service they’ve provided. That’s why you might consider giving your riders more options to thank their drivers. Starting in 2017, Uber began offering another feature – Tips – to thank drivers in a monetary way. 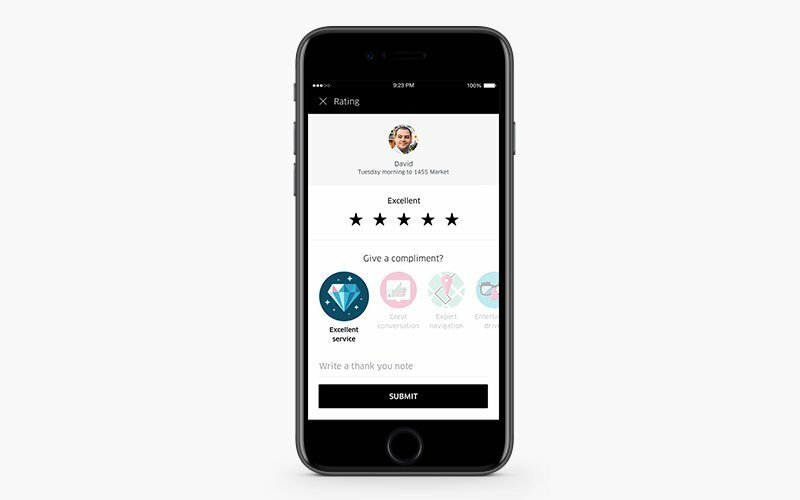 Riders can now tip their Uber drivers right in the app, choosing from predefined percentages or entering a custom amount. Users can also tip for past rides by selecting a trip from their ride history. Uber stresses that all tips go directly to drivers without charging any additional service fees. Cashless tipping can be an additional bait for both your riders and your drivers. For riders, you can eliminate the awkwardness of calculating and the actual act of tipping someone. For drivers, you can make it easier to handle their finances. Speaking of drivers, improving your driver app is equally important, since your driver partners are the power behind your service. You should do your best to meet their needs. Here are a couple of insights into how you can do that. You can let drivers track their earnings over time right in the application. This way, your drivers will know exactly how much they’ve made during a certain period of time and can easily see if working for your service is beneficial for them. 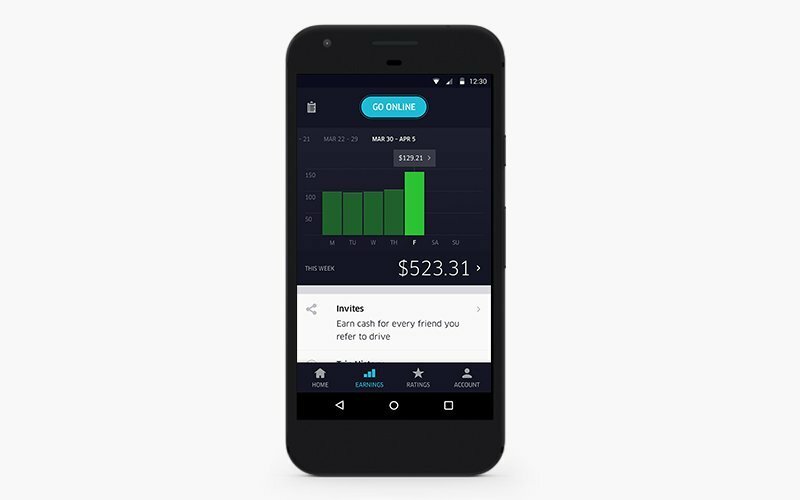 In the Uber driver app, for example, income is broken down with a focus on the amount drivers actually take home. In 2015, Uber announced integration with Quickbooks software, letting drivers import their earnings and track mileage, tolls, gas payments, and other expenses associated with maintaining their car. In 2016, Uber released Fuel Finder, a feature that helps drivers find the nearest gas station. Fuel Finder also shows prices and navigates drivers to a station as quickly as possible. 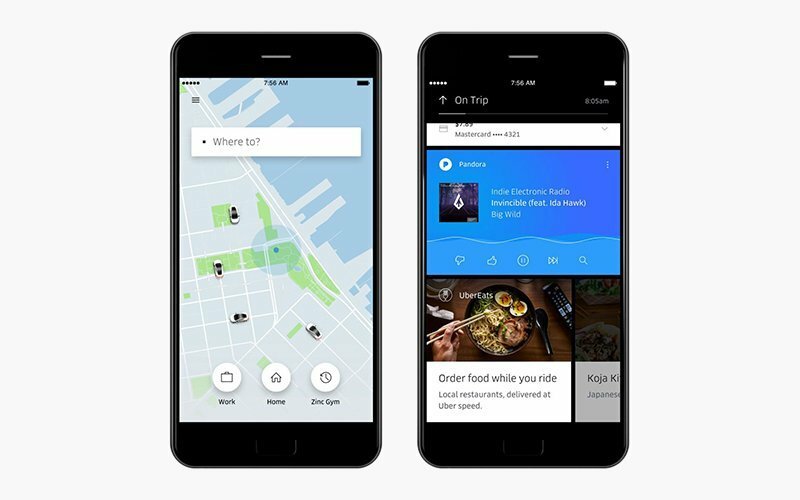 Uber integrates with Pandora, letting drivers play music, discover new artists, and add favorite radio stations right in the Uber driver app. This way, drivers don’t need to switch between several apps or tune the radio, which may be distracting. Moreover, Pandora in Uber has no ads, no interruptions, and no constantly repeated songs. You can also integrate something similar to Uber’s Driver Destinations feature, which is a function that lets drivers add their most-used routes (for example, to home or to work). Once drivers set routes, Uber will automatically set them up with trips along their routes. For instance, when a driver is going home, they may receive requests for rides in the direction they’re already going. The only limit is your imagination when it comes to improving your ride-hailing platform. This cheat sheet with marketing ideas, however, may be helpful if you don’t know where to start. You’re free to borrow ideas from Uber or come up with your own features that will be beneficial for your app’s users and your business.